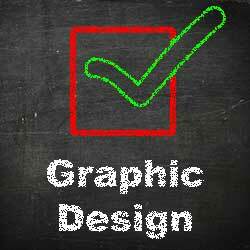 Why hire a professional graphic designer everyone knows the computer is a great tool, and business owners can create their own fliers, brochures, postcards and even websites. So why would you want to waste money hiring the services of a professional graphic designer? Unfortunately this is a common mistake made by many business owners. Here are several reasons why any business owner is going to be better off hiring the services of DLM Marketing to design professional quality and effective marketing materials. Most business owners are very busy people and have a lot on their plates. So that means you may put off doing a new marketing piece, even if it is something you really need. Hiring a designer to help means you can get that project done and begin using it to make you more money. Have you ever been in a situation where you had an ugly or boring business card? Were you less likely to hand it out? If that brochure is outdated and uses a weird colour scheme, you may just keep it behind the counter instead of displaying it. All your marketing materials should be the best they can be for your business, or you’ll have some hesitation in presenting them to new customers. By the time you learn how to use that page layout software that came free with your computer; you may have invested several hours. Couldn’t that have been used more productively? If you could have paid a designer and used your time to earn revenue for your business, you have not chosen wisely. Let’s say you do put together something yourself, and send it off to the printer. When the proof – or worse, the finished product – comes back with problems that you didn’t anticipate, fixing or reprinting will take even more time and money. Designers know what to do to make sure a file prints out correctly. You want to stand out. You don’t do that with a clip art logo or canned flier that looks the same as your competitors. 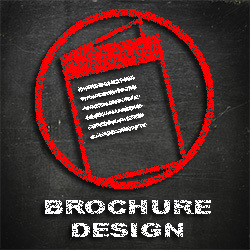 By using marketing materials that is unique and stands out is a more effective way for getting your target market to remember you. You need to ensure that your brand is easily recognised and remembered that way people will be able to recall your brand and are more likely to contact you for your products or services. If you use different logos, different fonts and different messages everywhere, it’s going to be hard to look professional. The designers at DLM Marketing are experts and know how to watch every little detail to ensure that every piece of your marketing communications fits with everything else. Sure, some of your customers may not notice if you used “Times New Roman” in one ad and “Arial” on another, however unintentionally the mind picks up these details and uses them to form an overall opinion of your business. DLM Marketing is experienced and very creative; we like to help our clients get the most out of every project. By hiring a DLM Marketing graphic designer you are most likely to end up with a better finished product than you could have put together, even if you’re capable of creating things that may look good. 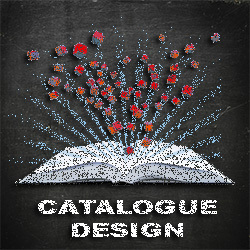 Our ideas will lead to a more eye-catching; more appealing and more polished piece than you would have created which will lead to extra attention from probable customers and additional sales.